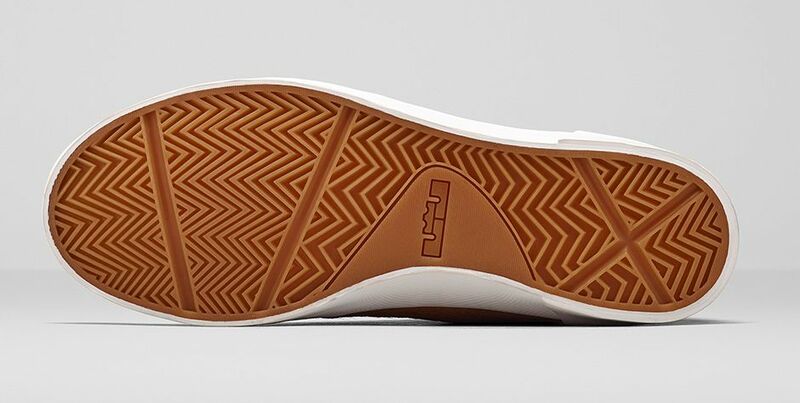 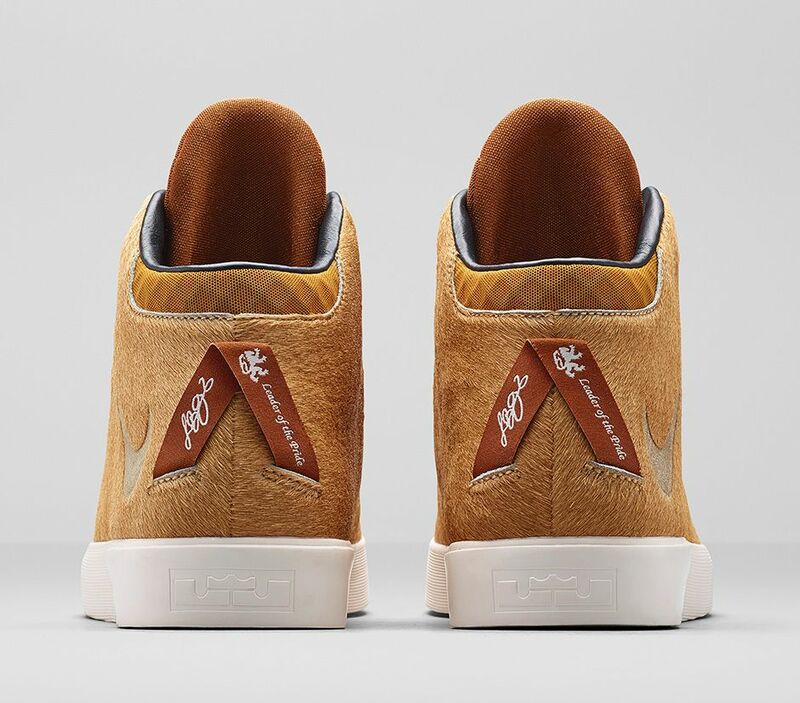 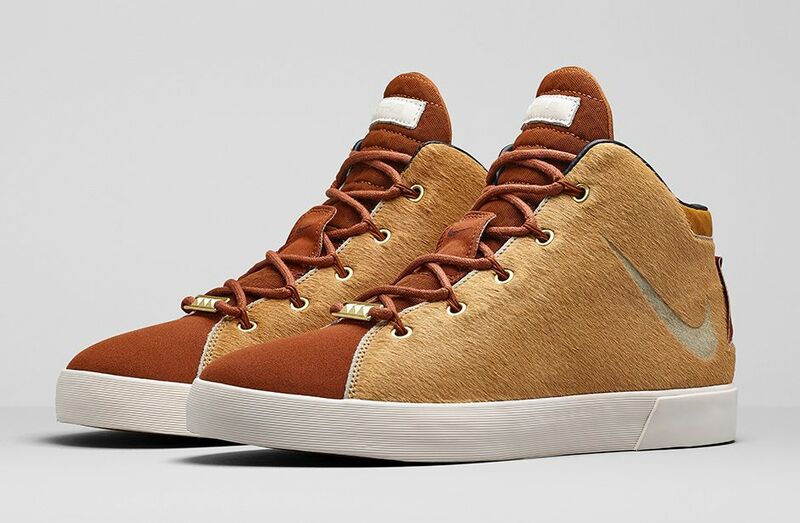 Introducing the LeBron XII Lifestyle “Leader of the Pride”. 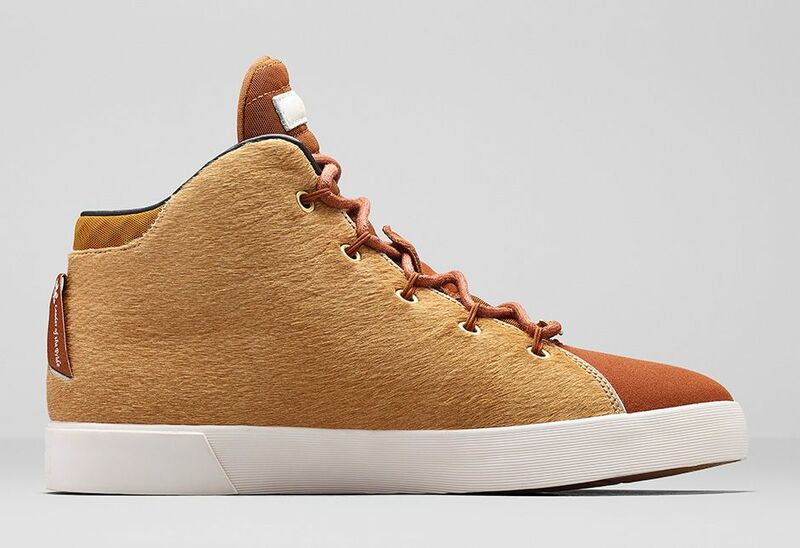 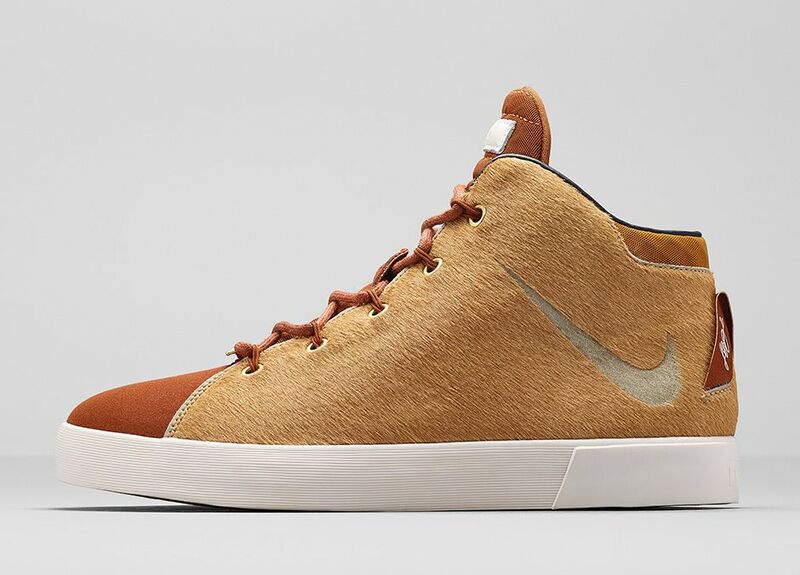 Featuring a Camel tinted pony hair upper designed to resemble the thick mane of a lion. 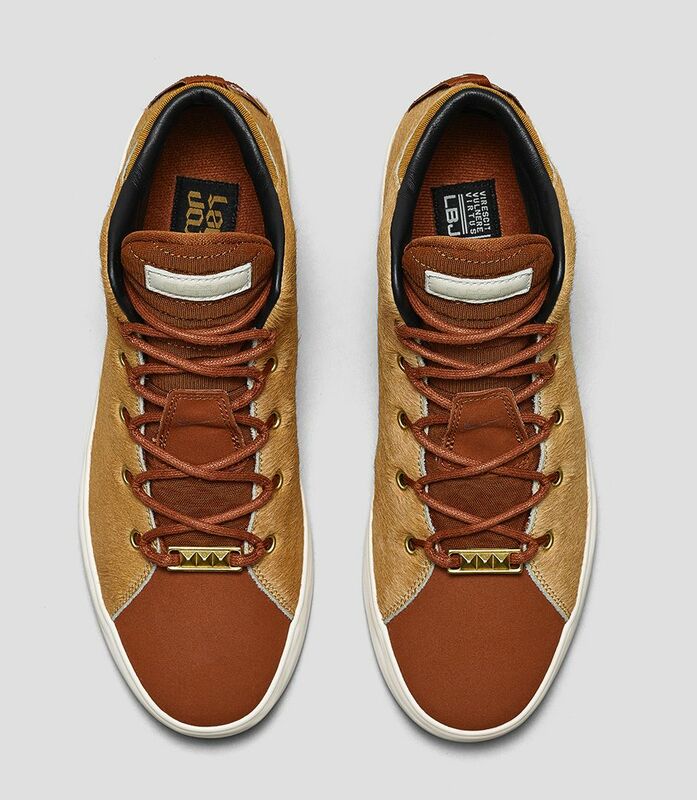 Hazelnut suede appears on the tongue and vamp while metal lace charms sign off the release.